In 2014 I published a hand positions guide on YouTube which over the years has received some positive feedback. But for a long time I felt that something was missing, and that there should be more options to choose from. 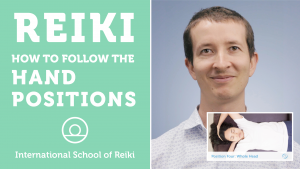 After resolving to do something about that, over the last six weeks I’ve been working hard on an improved set of videos to guide you through a Reiki treatment. Whether you’re a new or experienced Reiki practitioner, you’re in for a treat. I’ll be releasing one new video each week, and the first one is ready for you now on YouTube, accompanied by this hand positions guide.